in the south of Glasgow. It is not in situ but is adjacent to the Levern Water, which has exposures of the Lower Limestone Formation. A geodiversity audit of sites was commissioned by Glasgow City Council and carried out by the British Geological Survey in early 2013. A total of 26 sites were visited, and of these 20 were identified as potential Local Geodiversity Sites. Each site was assessed for its geoscientific merit, accessibility, cultural/heritage/economic importance, site fragility, and potential for enhancement. 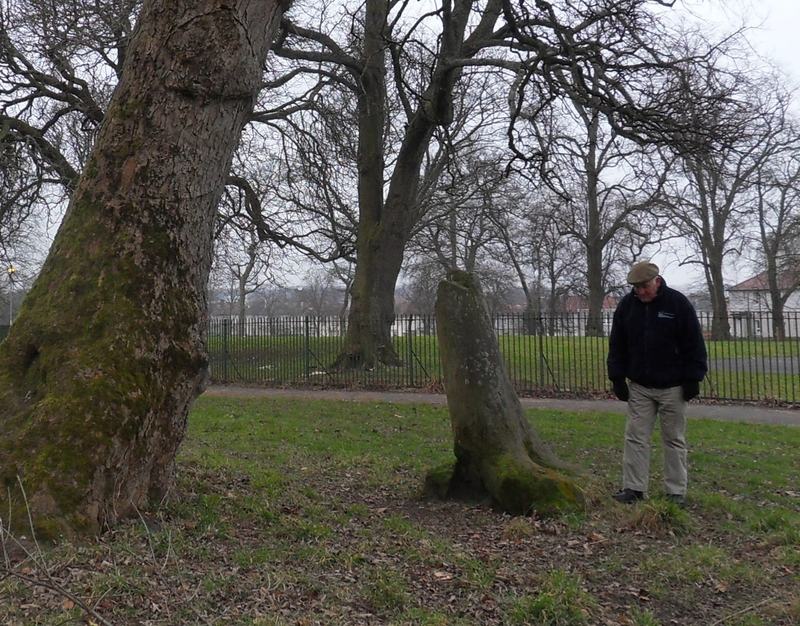 Many of the sites could be enhanced to encourage visitors and students to learn more about how the geology influences the form of the landscape, the economic and cultural history of the Glasgow area, and the ecological habitats of the urban woodlands, Local Nature Reserves and SSSIs.